These listings are organised into the below categories and listed in date order within their category. Some activities appear in more than one category. Clicking on the event name will take you to the website for further info. Please note all events are subject to change or cancellation so do check ahead to avoid disappointment. 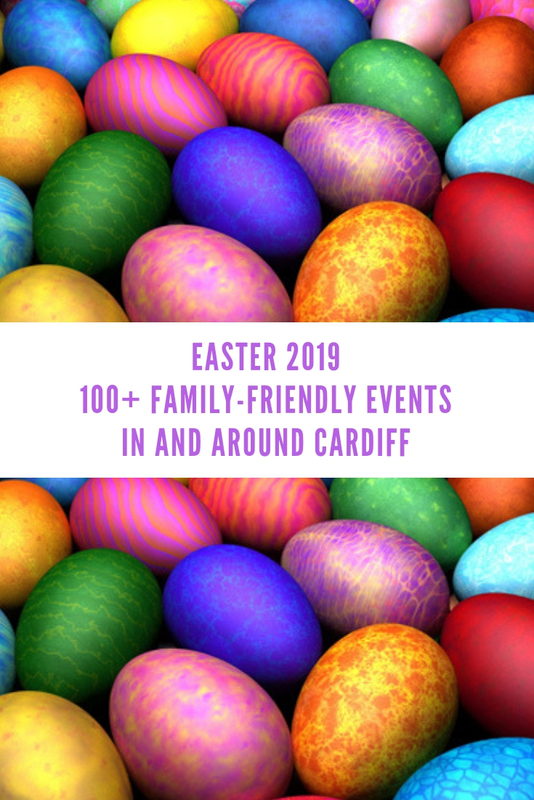 Categories as follows: Easter egg hunts and other Easter-themed events; Arts and crafts; Books; Theatre and performance; Family fun; Museums, Castles and Historical; The great outdoors and nature-themed events; Cinema. 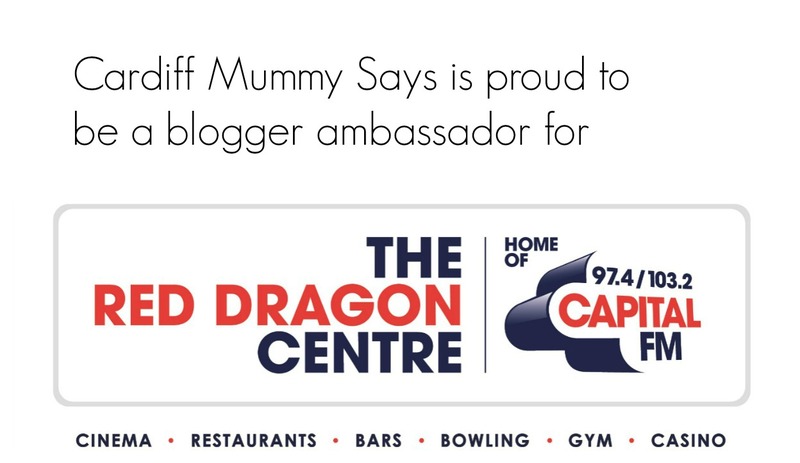 This post has been written in association with The Red Dragon Centre as part of Cardiff Mummy Says’ role as family blogger ambassador for the Cardiff Bay entertainment complex. 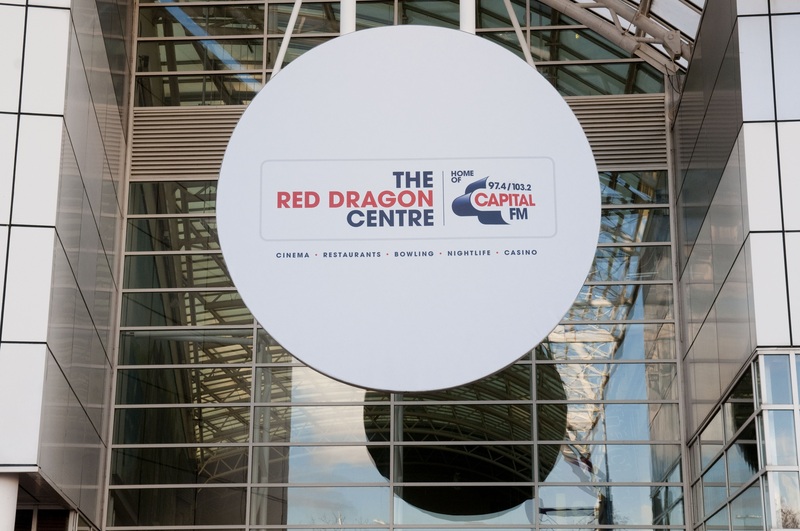 The Red Dragon Centre is home to Hollywood Bowl for 10-pin family fun; family-friendly restaurants and cafes, and a huge Odeon cinema, which is the only digital IMAX® screen in South Wales. 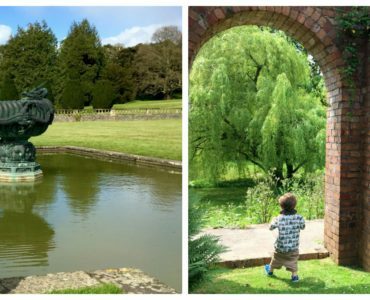 This Easter holidays, there’s also an added attraction at The Red Dragon Centre in the shape of The Spring Maze, open daily from Saturday 13 to Sunday 28 April, 10.30am-4pm. Constructed using 30 pieces of artificial hedging and 25m of grass walling, the maze will be 4.3m wide at the entrance, 10.4m long and 6m wide at the exit. As well as six Easter eggs hidden in the maze for children to find, maze runners will have the opportunity to hunt for Easter clues and the chance to win a family day out at The Red Dragon Centre. We’ll definitely be visiting over the holiday and trying to find our way out! We’re also going to tie it in with a trip to the Odeon to see Dumbo (you can read my full guide to family films showing this Easter here). The good news is that tickets at the Odeon are now £5 all day every day, for standard 2D films when bought at the cinema. You can read more here. 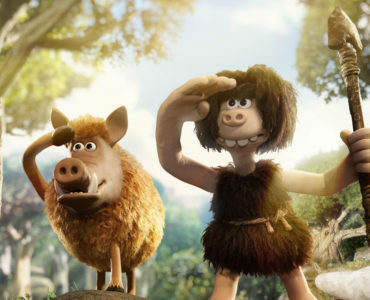 Plus the Odeon offers family films for just £2.50 per ticket as part of Odeon Kids. These early morning showings (usually around 10am) take place every weekend and every day during local school holidays. They are a great chance to catch slightly older films on the big screen and a perfect low-cost indoor option when the weather’s not great. Visit the Odeon Kids page for latest listings. 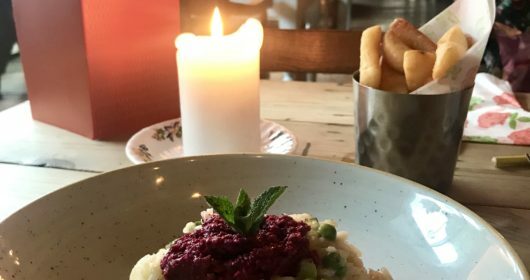 Family-friendly restaurants at The Red Dragon Centre include Bella Italia where children can eat for £1 with the purchase of an adult meal, and Spice Route where children eat half price with each paying adult. Plus for a holiday treat, stop by Cadwaladers which has a range of Easter Crème Egg sundaes, milkshakes and hot chocolates alongside its usual hot and cold snacks and ice cream treats, plus vegan alternatives too. Meet Easter mascot Bunny Bear. Snap a pic and share on Instagram with #Hamleys for a chance to win a Hamleys hamper worth over £1,500. Find all five eggs hidden around the store to spell out a special Easter word. Place your hand inside Hamleys Lucky Dip box to choose a ball for your chance to win prizes ranging from balloons and stickers to arts and crafts or even an exclusive LEGO Minifigure. The rumour inside Hamleys is they’ve never lost a board game in their life! Do you have what it takes to beat an expert? Will you be the first? Don’t forget to snap a pic with the expert, post them on Instagram with #Hamleys to be in with a chance to WIN a Huge Hamleys Hamper worth over £1,500. A play to win competition with hundreds of fabulous prize vouchers including meals at Carlucios, Nando’s, Pizza Express, The Dock, Salt Zizz and more; plus family tickets on Aquabus, free ice cream for a year from Cadwaladers and more. Pit your wits against the clock in this Play to Win game – just match the colour of Easter eggs on the competition screen in Tacoma Square in the heart of Mermaid Quay. The more you match, the faster they get. A daily Easter hunt, plus feeding the lambs, tractor and trailer rides, Mr Ev’s (large horse mascot) stage show, pet barm, splash paddle boats, jungle swamp adventure ride and more. Normal admission applies plus £1 per person for the Easter Trail, including a prize. Please note that this is not an Easter Egg Hunt. 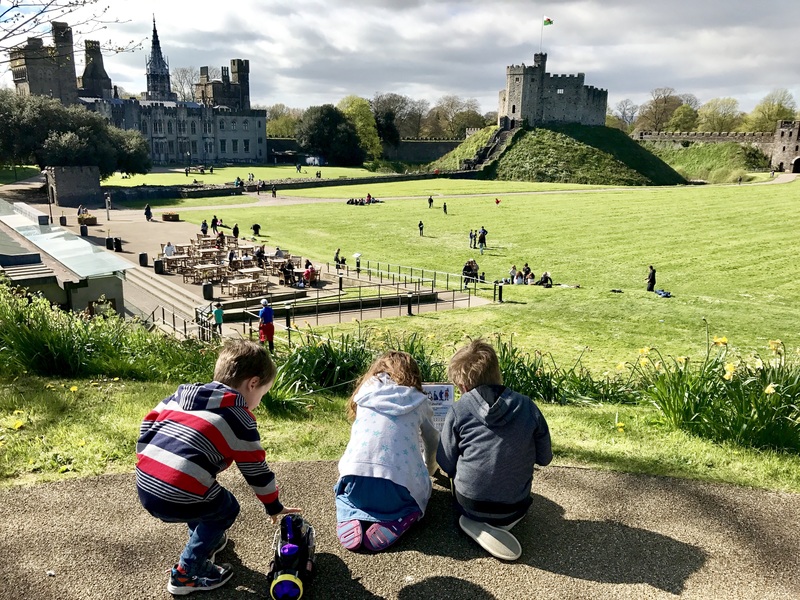 If you live or work in Cardiff you can apply for a Castle Key which gives free entry for three years subject to a £6.50 admin charge; no charge for children. See Castles and Historical for details of Meet The Knights event from 21-22 April. Friends of Penarth Library will be selling Easter cakes while there’s drop-in Easter-themed crafts with Mari Wirth. Bunny has been up to his old tricks again and hidden his precious chocolate. Follow the clues in the gardens to help find it. As well as all the usual farm attractions, and a full range of daily activities (see Nature and the Great Outdoors section below) Easter Monday 22 sees an Easter bonnet parade, which will see the donkeys joining in. Visitors can also follow take part in a daily Easter egg trail with a chocolate prize at the end (£1.20 per child). Enjoy the first signs of spring on the farm whole following the clues to find 10 hidden Easter eggs. Each has a letter on it – spell out the word to claim your prize. Follow the clues around Big Pit to find the special Easter eggs with letters on and make a word. Solve the puzzle and get a prize. See Museums and Historical section below for more events at Big Pit and Arts and Crafts for Spring crafts. A fun family activity trail that takes visitors around Chepstow Castle. Create a terracotta plant pot with crafty bits, use a branch to create the tree as a centre piece, decorated with hand-made clay egg decorations. Booking essential. Four sessions available. Bring along an empty egg box, decorate with crafty bit and fill with homemade seed cakes for the birds. Booking essential. Four sessions available. A paper plate craft session where you can make some Easter decorations. Booking essential. Follow the carrots around the valley to find the Easter Bunny, collecting clues as you go to claim your prize. Steps and muddy areas along the way. No booking required. Make a beautiful Easter decoration using egg cartons, paper plates and crafty items. Booking essential. Four sessions available. A paper plate craft session where you can get messy. Booking essential. Make your very own woolly sheep using cardboard, pegs and lots of colourful wool. Booking essential. Four sessions available. Join Louby Lou’s Storytelling and friends for this exciting egg hunt with a twist this Easter! The Easter Bunny is a busy this year, so it’s up to the dinosaurs to lay the eggs instead. But, which dino lays the chocolate eggs and can you get to his nest in time? Must be prebooked. Join Louby Lou and friends for this exciting egg hunt with a twist as you search for signs of magical unicorns around the house and park. Followed by a craft session to make and take home and a small treat for every child. Must be pre-booked. See Family Fun for details of Princess Pyjama Parties and Nerf Gun Wars. £7 per child. Age guidance: 3-12. 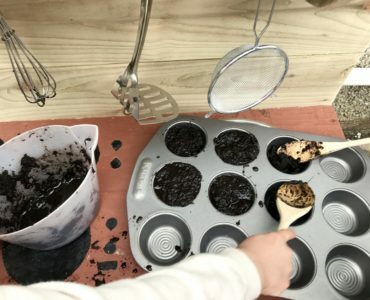 A pot decorating and planting workshop where children will use craft materials to create a bird house plant pot decoration, and then plant a spring flower inside to take home and watch grow out of your bird house. The event will also include an Easter egg hunt with a prize. Must be booked in advance. A bunny-themed workshop where children will make sock bunnies to take home and cwtch. The event will also include an Easter egg hunt with a prize. Must be booked in advance. Drop-in Easter-themed arts activities at the nature reserve. Themed craft session in the Castle. FREE Easter Explorers, 11am-3pm, meet at the rear of the Castle. Take part in the ‘Eggcellent’ explorers trail, learn some ‘eggciting’ new facts, take part in egg themed arts and crafts activities, and complete an egg-carrying-animals assault course! Free activity. 11am to 3pm meet at the rear of the Castle. 45-minute sessions organised by the Libraries Service. Make an Easter-themed Suncatcher. Meet in the Castle. A family-friendly two-hour dining experience at The Orangery. Guests will follow the mischievous Easter Bunny and fall down the rabbit hole to enter the topsy turvy world of the Mad Hatter and his guests who will provide a fantasy filled afternoon of fun. There will be games, entertainment and a delicious platter of “eat me/drink me” treats. Meet Peter Rabbit as a free extra either before or after your guided tour of the Royal Mint Experience. Can be booked separately without the tour at £5 per child and £1 per adult. 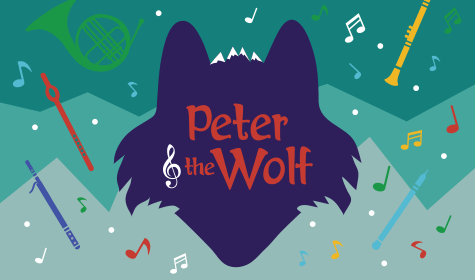 An interactive storytelling experience where children will listen to The tale of Peter Rabbit as well as take part in games and activities inspired by the book’s characters. The sessions lasts around 45 minutes. Celebrate spring awakening this Easter and hunt through the spring shoots to discover which creatures all the weird and wonderful eggs belong to. Find them all to collect your Cadbury’s chocolatey prize. All the usual outdoor freerange attractions plus live music and entertainment daily including Jimmy Juggle, Falconry UK, Wild Encounters Animal Shows, Tinto the Medieval Jester and more (different events every day; check website for details). Plus £2 per trail including a Cadbury chocolate prize. 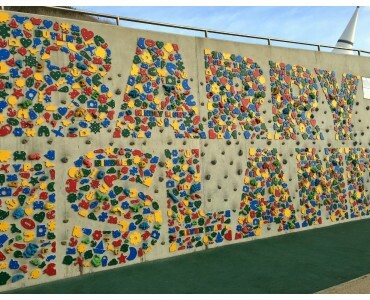 Follow clues to the past of Aberdulais’ beautiful landscape to reveal the location of your Cadbury’s egg. See also Aberdulais Rocks in Historical section below. Join the Easter Duck trails around the Roman Baths and ‘hook a duck’ along the way, to win your own duck balloon and Easter egg treat to take home. Easter-themed drop-in arts and crafts for families. Solve the clues and follow the family Easter trail around the museum, then head back to the start to claim your prize. No need to book; pay on arrival although spaces are limited. Solve the clues and follow the trail around the museum in this family trail. No advance booking, pay on arrival although spaces are limited. An egg hunt and Easter themed arts and crafts at the Welsh mining experience. Children will be colouring and decorating Easter animal masks. Places are allocated on a first come first serve basis on the day. No booking – drop-in only. A variety of themed arts and crafts for Easter. Family-friendly themed craft sessions plus have your face painted. See Museums and Historical section below for details of exhibitions and a new virtual reality experience at Big Pit. Plus bilingual family yoga on free family yoga at 2pm on Tuesday, Wednesday and Friday, no sign-up required. Sibeal Pounder, PG Bell, Matt Brown and Eloise Williams are just a few of the authors coming to Pontypridd for the town’s second children’s book festival. 20 authors and other guests taking in best sellers and local talent from the worlds of fiction, non-fiction, prose and poetry will be delivering a range of readings, workshops, interviews and Q&As. Plus there will be activities, stalls, displays and a Fair Trade Tuck Shop. A bilingual story walk around the grounds of Insole Court with Joe & the Adventure Door Pirates / Jo a Môr-Ladron y Drws Antur. Story walks are self-led, read at your own pace. Maps just £1 and available from the Visitor Centre. 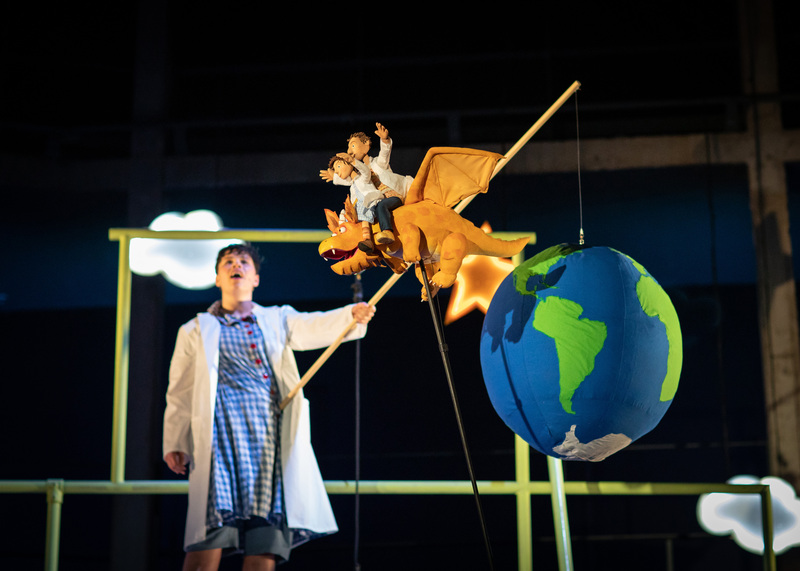 Following sell-out performances and great reviews in 2018, We Made This are touring Wales with The Girl With Incredibly Long Hair, a reimagining of Rapunzel for modern times, with both English and Welsh performances. 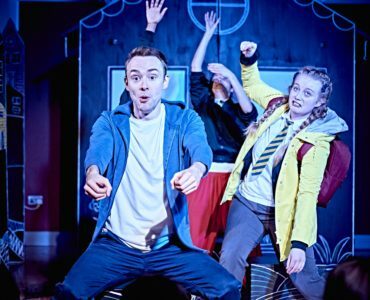 An ambitious and immersive theatre production for young audiences, The Girl With Incredibly Long Hair joins Rapunzel, her Mam, and her new friend Daf as they set off on an adventure to the heart of the forest. 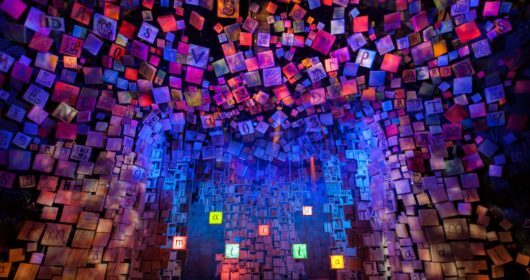 Be immersed in its sights, sounds and smells, with the story unfolding all around the audience. Louis Pearl has been thrilling audiences worldwide for over thirty years with the art, magic, science and fun of bubbles. An Edinburgh Fringe favourite, he has sold out there for the last twelve years. Louis explores the breathtaking dynamics of bubbles, combining comedy and artistry with audience participation and enough spellbinding bubble tricks to keep everyone mesmerized. From square bubbles to rocket bubbles, tornado bubbles to flying saucer bubbles, the Amazing Bubble Man conjures shrieks of laughter and gasps of amazement from all ages! 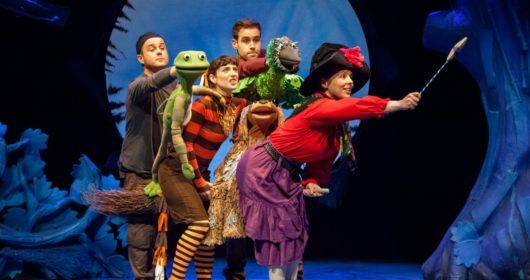 The roarsome interactive family show comes to Newport direct from the West End. Join the show’s intrepid explorer across unchartered territories to discover a pre-historic world of astonishing (and remarkably life-like) dinosaurs. Meet a host of impressive creatures, including every child’s favourite flesh-eating giant, the Tyrannosaurus Rex, a Triceratops, Giraffatitan, Microraptor and Segnosaurus. A special meet and greet after the show offers brave explorers the chance to make a new dinosaur friend. 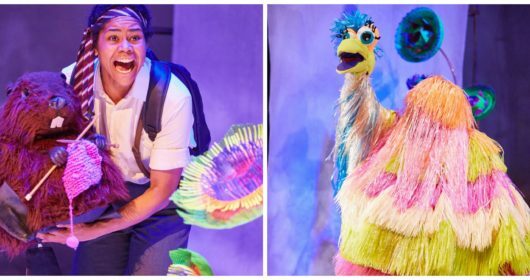 Read an interview with Julia Donaldson where she talks about bringing Zog to the stage here. An interactive and entertaining hour of pop-up dance featuring three professional companies from Wales and local youth groups. Witness the amazing dancers twisting and turning, tumbling and sliding in this jam-packed bilingual national touring event, plus have a go during the fun taster workshop following each performance. This is a free outdoor event and not ticketed; no need to hook, just turn up. A Bombastic, Coreo Cymru and Wales Millennium Centre co-production in association with Chapter. Witness the thrills and spills of live Welsh Wrestling in an evening of glitz, glamour and bodyslam mayhem as the Welsh Wrestling roadshow invades for one night only! See the over the top stars of the wrestling world collide in a night of super slamming action at this fun, crazy, family entertainment show. 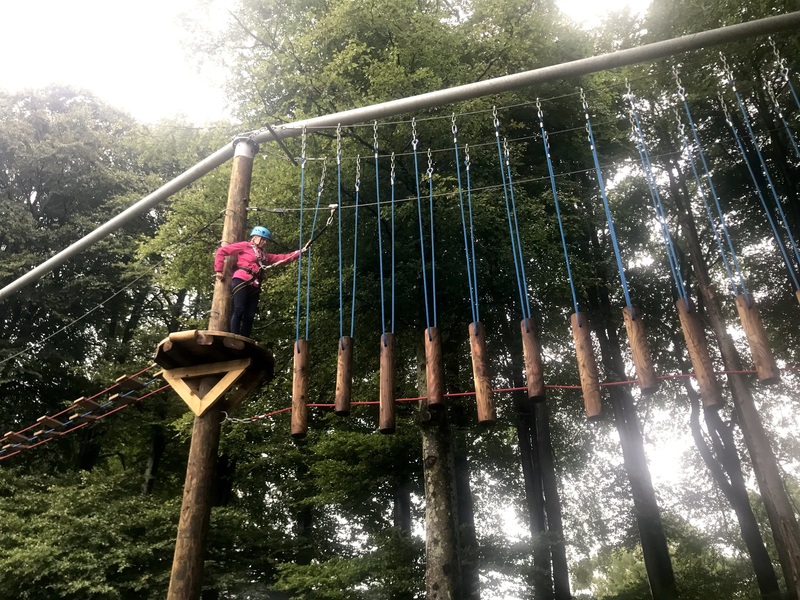 Tackle CoedLan’s 18 obstacles, including a balance beam, zig zag bridge, cargo net and a zip wire. No need to book in advance – buy your tickets on the day from the CoedLan desk. However if you’d like to guarantee a spot, you can book in advance by calling 029 2057 3322. Participants must be 110cm tall and aged 6 or over in order to take part. Children between 110cm and 130cm must be accompanied by an individual over 130cm and aged 12 years old or over. The maximum weight is 18 stone. 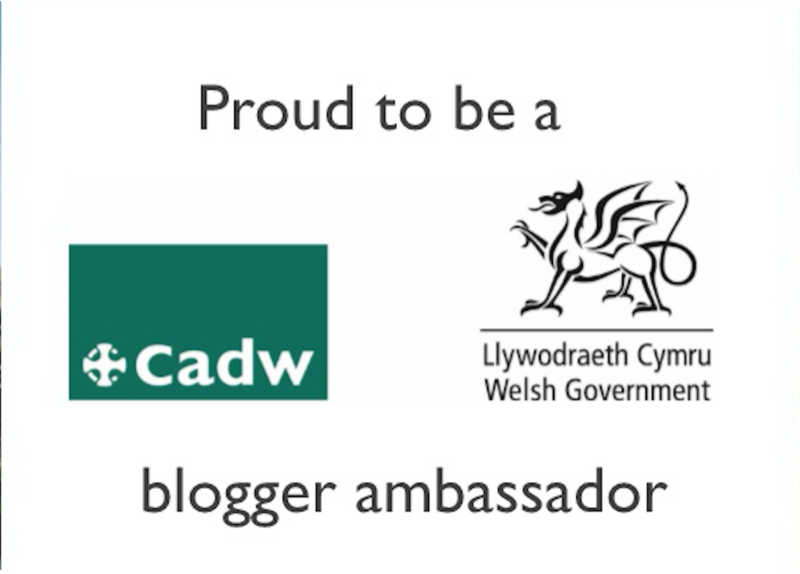 Read our review of the experience here (paid collaboration as part of our role as family blogger ambassadors with National Museum Wales). As well as two-floors of hands-on science fun, get ready for Airmazing, a live science show where you can find out about the gases that make up our atmosphere. Star Tours is the Planetarium show for ages 7+ were you can learn more about some familiar constellations, the planets and how stars are born and die. Night and Day is the Planetarium show for under 7s where you can learn where the sun goes at night and why it gets dark. The open air swimming pool is open for the Easter holidays with swimming sessions bookable online in advance and with a limited number of spaces available on the day from 9am. The heated pools include an area for lane swimming and more relaxed swims, a splash pool for young children and water activities available for an additional £2.50 per person, including fun inflatables, Aqua Scooterz, Aqua Peddlerz and Water Walkerz. Monday 29 April-Friday 24 May – open for morning swims (7.30am-9am) on weekdays as as well as weekends and Bank Holiday Monday. Saturday 25 May-Sunday 1 September – open daily 7.30am-7.15pm. It will then be open at weekends until September 22, as well as daily for morning sessions only from 7.30am until 9am. Can you find your way out of the Red Dragon Centre maze this Easter holiday? Constructed using 30 pieces of artificial hedging and 25m of grass walling, the maze will be 4.3m wide at the entrance, 10.4m long and 6m wide at the exit. As well as six Easter eggs hidden in the maze for children to find, maze runners will have the opportunity to hunt for Easter clues and the chance to win a family day out at The Red Dragon Centre. Entry to the maze is free. Parking is free for up to six hours for customers subject to minimum spend and validation. As well as all the fun of indoor adventure golf, unleash the power of the bonus hole to win a surprise. Free face painting and glitter tattoos for customers. Join our princesses as they swap their ball-gowns for pyjamas and get ready for some princess pampering. This fun filled session for little princesses will include singing, princess pampering, glitter tattoos, games and snacks. Must be pre-booked. £15.50 per child. Age guidance 5+. This boogie bomb of a session will lead you and your fellow flossers into a Fortnite inspired Nerf Battle Royale incorporating teamwork, honour, loyalty and dancing. Must be pre-booked. Cardiff Model Engineering Society opens its doors for the public with miniature train rides – steam, diesel and electric – and tram rides available. See website for further dates for 2019. Tiny, the huge Triceratops and Dexter, the cheeky, feathered T-Rex are here to help the fabulous Dr Fossil, along with some of the mischievous Dino Babies. Help adorable Emily Brontosaurus find the lost egg. Meet Spence the Spinosaurus and Richie the Raptor. See the giant dinosaur egg – climb inside and feel what it is like to hatch out of a massive dino egg. £11 RHS members in advance; £13 on the day. Non-members £12/£15. Each adult may bring two children 16 and under free of charge. No ticket required. in celebration of the 50th anniversary of the iconic book’s publication. Families can also learn the ancient craft of willow weaving, weave some willow; take part in RSPB workshops to investigate the wonderful world of snails; and pot your own strawberries to take home and grow. See the website for full details. 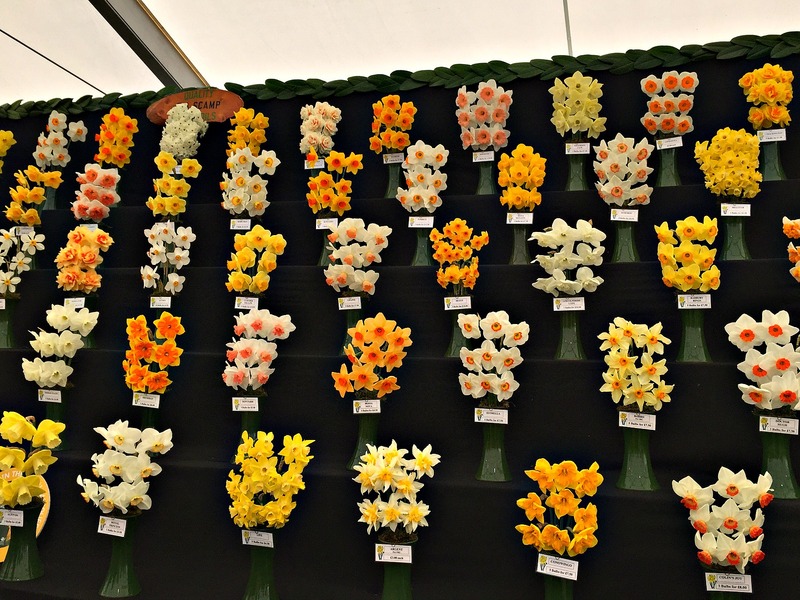 Photo above taken by Cardiff Mummy Says at a previous RHS Cardiff show. A daily Easter hunt, plus feeding the lambs, tractor and trailer rides, horse mascot Mr Ev’s stage show, pet barm, splash paddle boats, jungle swamp adventure ride and more. Set off on an adventure through the evolving woodland of the arboretum to complete this special expedition. 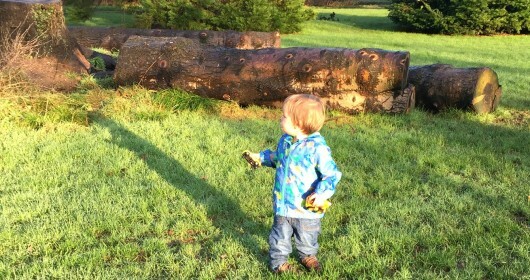 Choose your own path through the towering trees and cross perilous terrain, you will discover fascinating facts and you might even bump into fellow Plant Hunters along the way, who are eager to share their own exciting Dyffryn arboretum adventures with you. As well as 100 acres of freerange family attractions, daily events included in ghe admission price include Easter egg trail, meet the funny goats, Gruffalo story, soft archery, space hoppers, jumping pillow, campfire and marshmallows and Easter games. Some activities are weather-dependent. Also High Ropes available for £5 per person. As well as all the usual farm attractions, the Easter holidays see a range of additional activities including cuddle corner with the smaller animals, goat milking, bottle feeding lambs (small charge applies), egg collecting, and candling and handling sessions where you learn all about life in an eggshell and meet spring chicks; meet the giant rabbits, mini beast hunting, donkey grooming and more. Saturday 13-Friday 19 sees meet the giant rabbits; Saturday 20-Sunday 28 sees goat’s play, and Easter Monday 22 sees an Easter bonnet parade, which will see the donkeys joining in. Visitors can also follow the farm’s Stick Man trail and take part in an Easter egg trail with a chocolate prize at the end (£1.20 per child). Join Rosie the Ranger and the rest of the Little Sprout Gang in our fortnightly gardening club. Educational, engaging workshop session for children aged 4-9 which will include arts and crafts, interactive storytelling and activities to learn all about Trees and their importance to the planet. West Glamorgan Dolls House Club presents an exhibition of dolls houses, shop and miniature scenes. Surf shops to Victorian houses, school rooms to an old London pub. A weekend of archery, combat and sword demonstrations. The Knights and Squires in the Lions and Lilies have been trained by a renowned sword master, great medieval fun. Thirty minute performances of edieval songs, poems and chants with voices and instruments in the Castle. Discover how to build a bridge – an amazing chance to construct a 17m long cable bridge – and walk over it. Organised by the STEM Ambassador Hub and the Institution of Civil Engineers, numbers are limited. Pick up your tickets at entrance cabin. With Margam Archery Club, meet at the BBQ site at the rear of the Castle. Make your own fluffy colourful pompom sheep. Discover more about the ancient vessels which have been used for thousands of years for fishing on Welsh rives. Make and grow your own living grass creature. Spring crafts with the Friends of Margam, in the Castle. Keep the community tidy with this litter pick. Kit provided. A variety of exciting pond related family wildlife activities, including pond dipping, led by an enthusiastic team who can tell you more about the creatures bursting into life in the ponds and wetland areas. A nocturnal adventure as you head out into the night with bat detectors to search for bats. You will also make and use a variety of moth traps to discover what incredible creatures are out and about when the sun goes down. Booking essential. Look out for the signs of spring as nature starts to wake up from its winter slumber. Join the RSPB to complete the Spring Bingo Wild Challenge. Workshops and crafts for the whole family including Dr Bike, looking at bikes; TwinMade showing how to repair clothes, Warm Wales helping to reduce energy costs; Pedal Emporium to show the wonders of green energy to crate art; Benthyg with their ‘library of things’; Green City showing how to repurpose waste materials; Repair Café Wales will be welcoming broken goods to try and breathe life into them once more; Mess ‘n’ Tots will be providing environmentally friendly crafts and messy play for the children. What underwater creatures will you find living in the murky depths of Bryngarw’s pond? Find out in this pond dipping session. Booking is essential. Can you survive in the wilderness? Have a go at den building, making decorations for your new home and then sit round the fire to enjoy marshmallows and hot chocolate – although you will have to whittle your own marshmallow stick first. Forest Farm Country Park is a beautiful woodland site with a river running through it, and makes a great location for this survival challenge. Pre-booking essential. A treasure hunt in aid of Noah’s Ark children’s hospital charity. As well as the treasure hunt, the event will include face painting, a raffle and bran tub. The event is organised by Community Housing Cymru (CHC) who have pledged to raise £20,000 through different events. Last year, the team at Noah’s Ark saved the life of baby Theo who was born when his mum Hayley, Policy and Programmes Manager at CHC, was just 26 weeks pregnant. Theo along with Mam and Dad celebrated his first birthday a few weeks ago. Join the Community Park Ranger in search of the migratory birds that visit the Bay shores. Meet at the start of the boardwalk, Cardiff Bay Wetland Reserve, off Windsor Esplanade CF10 5BG. As recently seen on BBC1’s Countryfile, Wings Of Wales return to St Donat’s for morning and afternoon birds of prey demonstrations. Watch eagles in action, witness the silent flight of owls and thrill at the high speeds reached by falcons. Wings of Wales have worked around the world for the conservation of birds of prey and have many years of falconry experience. Wings of Wales are currently working with Wilder Britain to reintroduce species such as the Golden Eagle back into Wales. Weather permitting; the flying demonstration will take place on the beautiful Top Lawn of St Donat’s Castle, overlooking the sea. Follow the trail on the hunt for animal babies. See majestic birds of prey in flight, and have your photo taken with them for a unique souvenir. Learn how falconry was part of Tudor life and how birds of prey live, and why falconry was the most popular sport of the day. Twelve of Leonardo da Vinci’s greatest drawings are on display in Cardiff to mark the 500th anniversary of his death as part of a national celebration of the extraordinary artist. The drawings are from the Royal Collection which contains the world’s finest collection of Leonardo’s works. Buy your tickets on the day; limited availability. Have a go at drawing your own skeleton and chat with medical students from Cardiff University School of Medicine. There is also the chance to see a display of artworks from the students’ most recent art competition. Learn how their experience of medicine and interest in human anatomy inspired the creations of these students, much as it did for Leonardo. This exhibition opened last year to celebrate 100 years since the birth John Kyffin Williams (1918-2006), arguably Wales’ most popular and prolific landscape painter of the 20th century. Born in Llangefni, Williams’ career spanned more than 60 year with his distinctive style depicting the rural landscape of Snowdonia, its cottages and hill farmers. He had a long history with Amgueddfa Cymru (National Museum of Wales) both as an artist and committee member and this display explores that relationship through artwork and archival material. David Nash is one of Britain;s most important artists and this exhibition marks the 50th anniversary of him living and working in Capel Rhiw – a former Methodist chapel in Blaenau Ffestiniog, north Wales. David Nash: Sculpture through the Seasons is the largest and most ambitious exhibition of David Nash’s work ever presented in Wales. It features key sculptures from the late 1960s to the present day, exploring the different ways the artist has cut, carved and manipulated wood to produce sculptures that sit between the abstract and figurative. A new way of looking at some of the museum’s most famous exhibits – thought augmented reality (AR) which brings the exhibits to life. Pick up a handset at the museum’s shop and use the handset for Monet’s Waterlilly Garden Experience; Underwater Life Experience; and Dinosaurs and Prehistoric Creatures Experience in either Welsh or English. Read our full review of the AR experience here. Pick up something special that you’d never find on the high street. There’s a chance to meet the makers and find out more about their crafts as they run workshops and demonstrations throughout the week. Making activities for children available at some stalls for an additional cost. 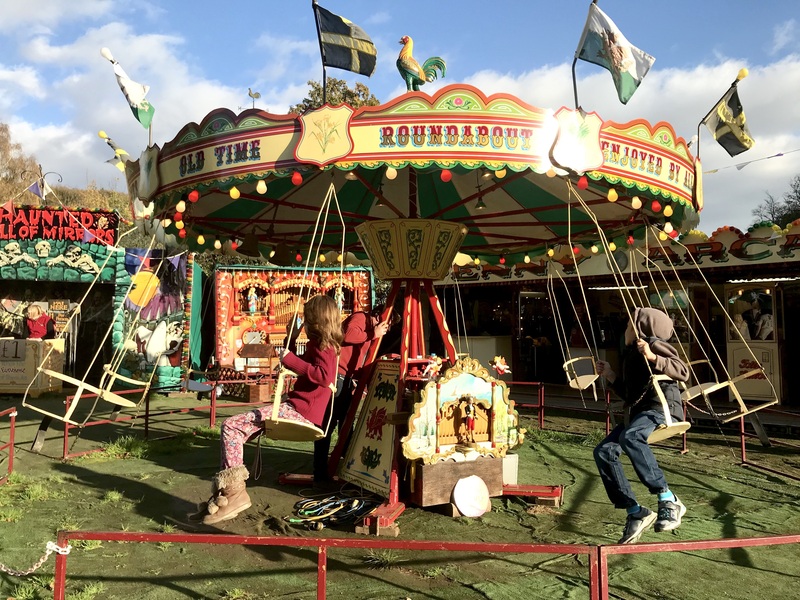 Visit the Traditional Fairground and experience the magic of a bygone era. As Big Pit celebrates its 35th anniversary, this exhibition traces the history of Big Pit as it transformed from a working coal mine into one of UK’s leading museums and tourist attractions. A photographic exhibition by Walter Waygood documenting mining and miners of Blaenafon from the 1970s onwards. Using smart devices, the immersive content can be viewed at three iconic locations across the internationally celebrated region, including Big Pit National Coal Museum, Blaenavon World Heritage Centre and Blaenavon Heritage Town, which all feature in the immersive films. The films can be viewed with or without an accompanying VR headset, which are available to borrow from Big Pit National Coal Museum( deposit of £5 required) or Blaenavon World Heritage Centre or can be simply viewed using a mobile phone. Plus, visitors can revisit the on-site experience and view the digital package at home using a desktop browser. Laura Ford unveils a series of new sculptures inside Wales’ iconic Castell Coch, as visitors are invited to discover over 15 works created by one of the UK’s leading contemporary artists. A meticulously handcrafted rabble of otherworldly interlopers are concealed and revealed within the castle’s architecture as figures appear cloaked, crouched or soaring from the rafters. Ford’s reinterpretation of the folk lore and folk art, which is so intrinsic to the public perception of the castle, takes on a fantastical and sometimes sinister edge. Rendered in bronze, jesmonite and ceramic, and clothed in brilliant swathes of wool and felt, her child-sized figures are inherently tactile. Their postures are pointedly and recognisably human. A weekend of medieval weapons and living history, as the Company of Chivalry present displays and living history throughout the day including firing the mighty Siege Engines. Discover how to understand the clues to the past of Aberdulais’ beautiful landscape beneath your feet with a geology exhibition and family friendly trail. Pick up a map and start exploring. Create and customise your own Roman Gladiator, using stickers. This craft activity gives children the opportunity to learn about different gladiators before creating their own unique fighter. Prizes will be given for the best three creations, to be judged by a Roman expert. Re-live the tumultuous times of the Civil War, with Roundheads versus Cavaliers in the castle, complete with cannon and muskets. This Easter, the Marquess of Winchester’s Regiment of the King’s Army will be in residence at Caerphilly Castle with four days of battles, cannons and muskets. Witness changing of the guard, drill and a host of living history activities throughout the castle, as well as regular skirmishes between the Royalists and the Parliamentarians, with a detachment of dragoon guards and artillery men. Travel back to the medieval times as Sir Jay and Sir Lewis (The Warwick Warriors) return to Cardiff Castle. There will be two combat displays each day, along with the chance to learn more about the weapons and armour used by a medieval knight. In addition, there will be stories, Egg Rolling and Egg and Spoon Races taking place at various times throughout the two days. See Easter section above for details of the Easter Trail. Brother Thomas will tell you all about his life as a monk at Tintern Abbey in the 14th century. The sympathetic and helpful brother will give you inside information about the monks’ rituals and responsibilities. You will learn about the daily life of the monks at the abbey, including their monastic duties, hygiene and eating habits, as well as the numerous religious services they would have to attend throughout the day. A slice of life from over 800 years ago. Experience life in the Marches in the 12th century where Welsh, English and Norman all mingle. Fashion shows, singing, historical crafts, medieval justice, archery and, of course, knights and men-at-arms fighting for your entertainment. Come see a slice of life from over 800 years ago! The Winding House Museum is built on the site of the former Elliot Colliery and its centre-piece is the original Victorian winding engine. This remarkable piece of machinery was used to operate the cages that transported men and coal between the surface and the mine below. The museum’s dedicated and enthusiastic volunteers maintain and run the engine for the public on the last Saturday of the month. Hands-on experiences and activities as children discover their inner little warrior. Test your strength on the striker, test your agility by storming our inflatable assault course and manoeuvre through Gilbert’s maze. Join the knight school where you will be trained in sword fighting or ‘have a go archery’, and more. A weekend of medieval fun and mayhem with historical reenactions from Bowlore. Learn archery and sword skills, as well as watching weapons displays and demonstrations. Plus see Caerphilly Castle’s mighty Siege Engines being fired twice during the day.